Clark: Whoa! This elf kill, it's savage. Steve: Sometimes you've gotta jump the shark. Pretty darn good fun! We laughed and laughed! 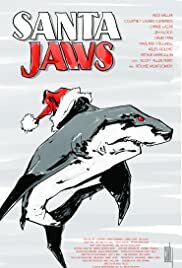 In the list of shark-themed movies we've watched lately, this is high on the list. Also it's been added to our fun Christmas movies like the original Die Hard.